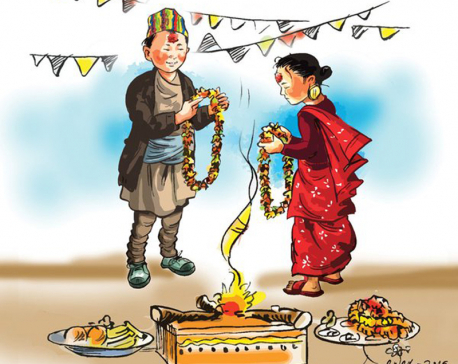 DOTI, April 22: The legal age of marriage is 20 years. But the custom of child marriage is still prevalent in the hilly districts of the Sudur Paschim province. 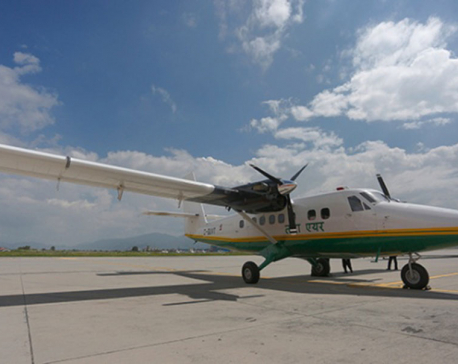 KATHMANDU, April 22: Art is considered a significant genre for its capacity to present lively narratives about human culture and history concerning any geography or the nation or any human civilization. LALITPUR, April 22: Lalitpur Metropolitan City has seen limited physical space to accommodate incoming employees from different thematic offices of the district. It was hard time to manage the flow of employees due to inadequate building space, the metropolitan office said. 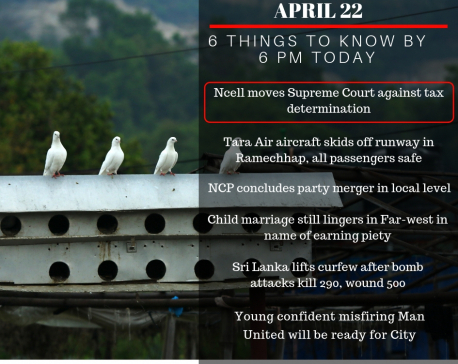 RUKUM, April 22: Rukum has strong association with the decade-long armed conflict. Hundreds of people were tortured and victimized during this period especially in the eastern part of the district. 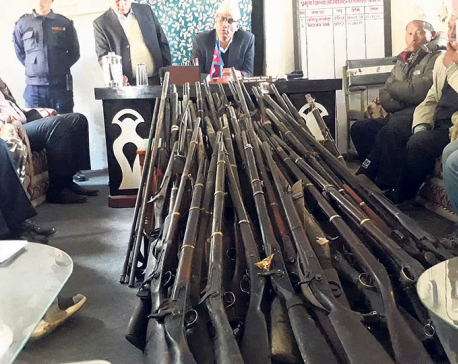 Inhabited mostly by the people of Magar community, most locals of Rukum(East) have country-made guns at their homes. 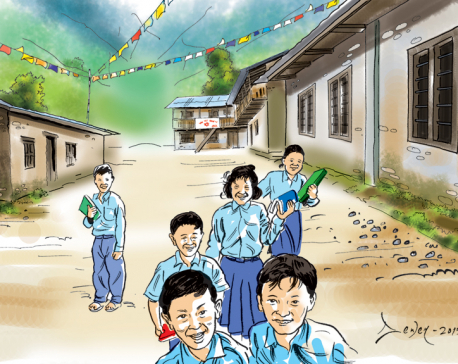 KATHMANDU, April 22: Paragon Protalus Foundation (PPF), a non governmental organisation working for the welfare of underprivileged girls, has announced the launch of a new scholarship program 'ASHA - The Hope' on Friday. PPF is set to start with educating 180 underprivileged and deserving girls, setting the target to have 1000 scholars in the next four years, reads a press statement issued by the foundation. 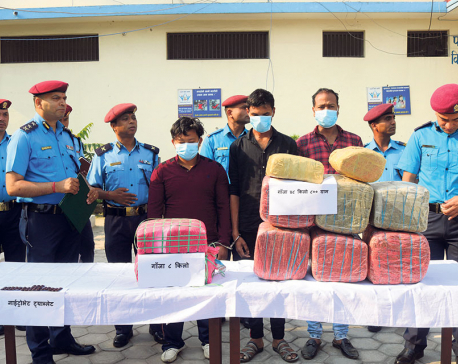 MAKAWANPUR, April 22: Hetauda Police have arrested an Indian national with 48.8 kilograms of cannabis from a car owned by the All India Crime Check Organization. The car with registration number BR 31M 5051 has an Indian flag and also bears an additional plate with inscription of the organization's secretary on it. PARBAT, April 22: Community school teachers are accused of admitting their children in private schools despite themselves being associated with community schools. Of late, various government authorities are pressurizing these teachers to enroll their children in the schools where they teach. 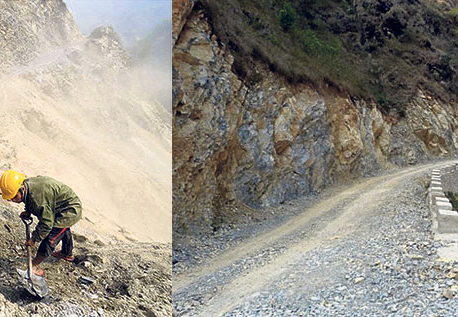 Gulmi, April 22: Implementation of the North-South Kaligandaki Corridor project, a national pride project, has gained momentum during the last one year since the Nepal Army took the lead.